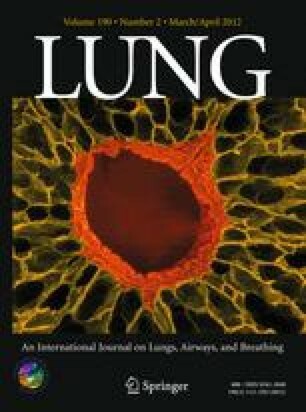 The aim of this study was to determine if electrocardiographically synchronized, prospectively triggered multidetector row computed tomography (ECG-MDR-CT) angiography of the aorta can accurately predict the location of ectopic bronchial arteries in patients with cystic fibrosis (CF) with massive hemoptysis prior to bronchial artery embolization (BAE). The study was a prospective, observational study from September 1, 2009 to June 30, 2011, conducted at a university hospital with an adult CF center. The study included adult CF patients with massive hemoptysis. A total of four adult patients (mean [± SD] age = 31.5 ± 7.9 years) with CF and massive hemoptysis underwent ECG-MDR-CT angiography. The location of the bleeding source was predicted in each case based on lung pathology observed on ECG-MDR-CT angiography. All four patients eventually required BAE without the need for conventional aortograms since the locations of the bronchial arteries were determined prior to the procedure. Review of lung pathology and arterial networks from the ECG-MDR-CT angiography data limited the number of selective catheterizations necessary to complete the procedures. BAE resulted in complete resolution of hemoptysis in three patients and successful mitigation of the bleeding in the fourth patient until lung transplantation was performed 1 week later. ECG-MDR-CT angiography accurately depicted bronchial artery anatomy in CF patients with massive hemoptysis and provided excellent preprocedural planning for BAE. The information provided by ECG-MDR-CT angiography of the aorta prior to conventional angiography decreased the BAE radiation dose and contrast volume and likely reduced table time. There are no conflicts of interest for any of the authors with any companies/organizations whose products/services are discussed in this article.